Interested in adding some new body weight workouts and live near Corona? If so, you are in luck because Genetics Training Facilities offers that and much, much more. We combine aerobic exercises to burn fat and improve heart health with a dynamic range of body weight workouts, free weights, and machine lifts to give our members a comprehensive workout. On top of that, we offer cutting-edge heart-rate monitoring technology so you can track your gains in a serious way. Try your first class for free at Genetics Training Facilities! We are confident we can help change your health and life for the better. 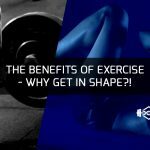 The Benefits Of Exercise – Why Get In Shape? 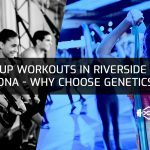 Group Workouts In Riverside And Corona – Why Choose Genetics Us! Try These At Your Next Group Workout – History’s Craziest Feats Of Strength!